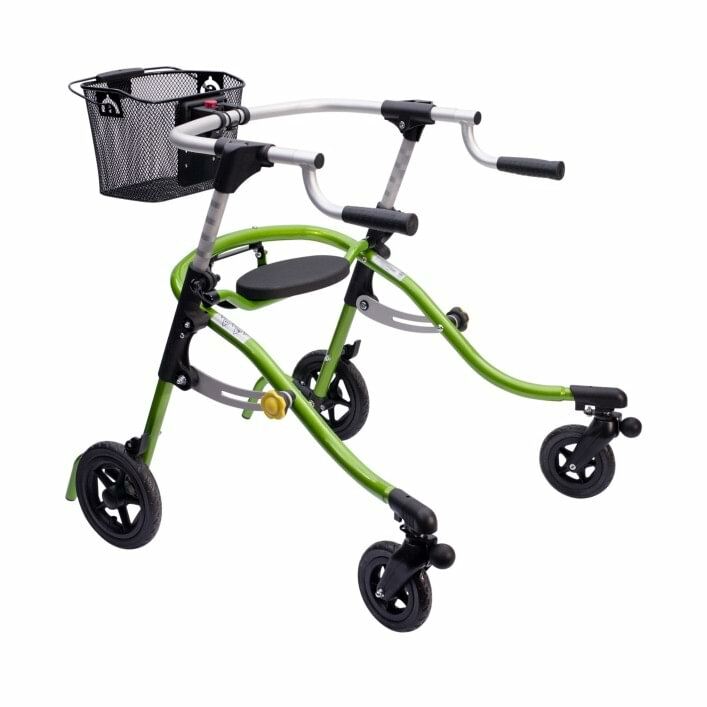 The Nurmi Neo is our most popular walker (often called a “gait trainer”). 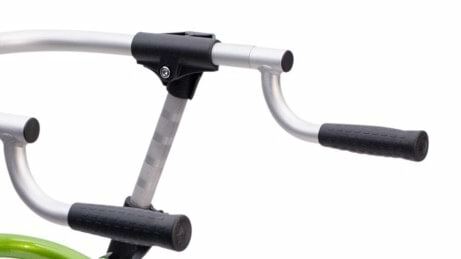 Designed for everyday use at home, at school or on the go, it can turn on a sixpence. 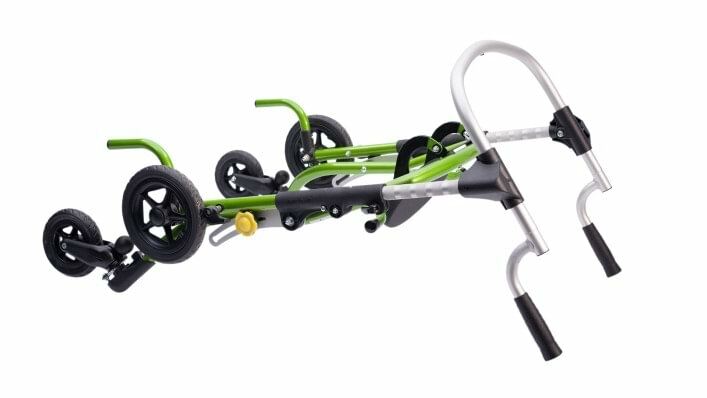 The Nurmi Neo is a solid solution for kids who can walk but need a little extra support, especially those whose gait is improving and who want a walker that will grow with them. 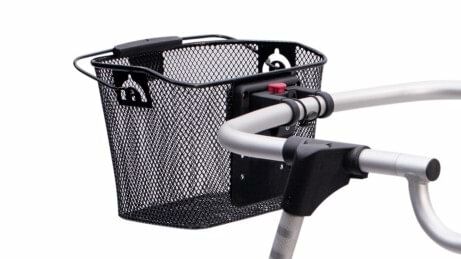 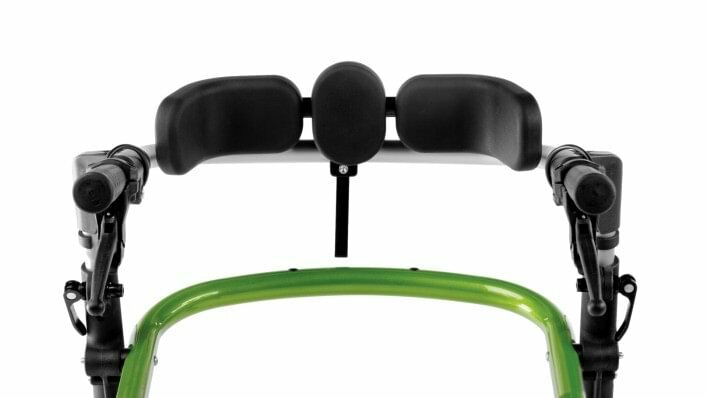 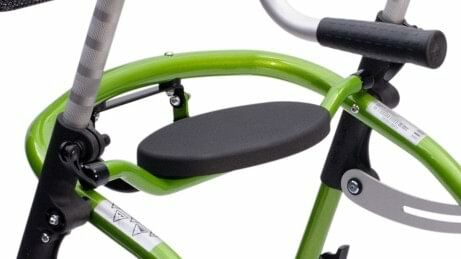 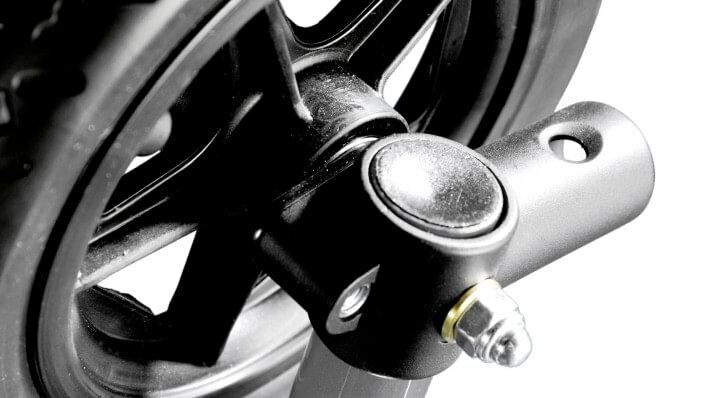 Great standard features (including easy folding) and matching accessories help make the Nurmi Neo “just right”! 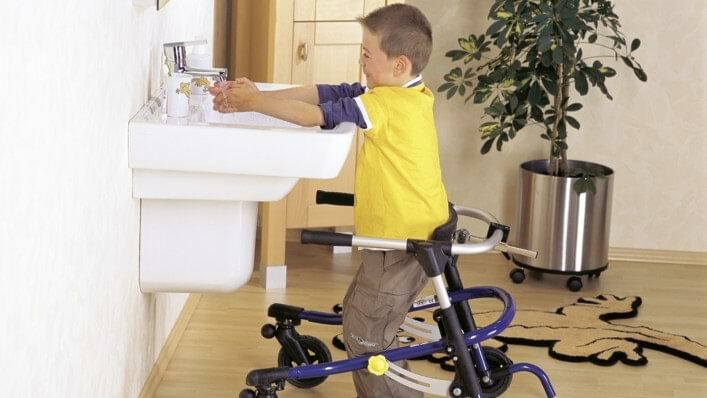 This picture shows several optional accessories, demonstrating how it can be tailored to your child’s needs and preferences. 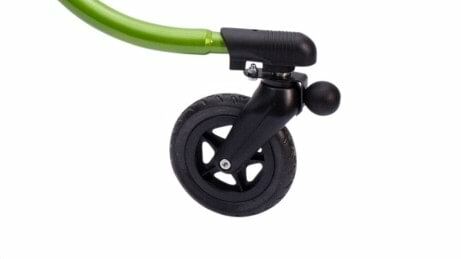 With a lightweight frame that nevertheless stands up to high loads, your child can move more easily without giving up stability and support.